Phoenix Unbound is a stunning tale that I was very excited to pick up for sure. I have such a deep affection for Grace Draven and she writes epic fantasy romance which is not as common as I would like. So after hearing such raving reviews, and having this book as our Discord Romance Book Club read for the month of October, I was even more thrilled since now I had a good excuse to pick this one up. I first want to mention that despite the rating I really enjoyed this book, it wasn’t perfect but quite a thrilling ride!! Gilene has powerful abilities, abilities to manipulate fire and air and her abilities have saved her village and her family from death. Her world is full of uncertainty from cruel and evil leaders of the empire who demand on sacrifices to be burned by fire. But because of Gilene’s abilities she can survive the fire and pose under other identities. But this year is a bit different for Gilene, she comes face to face with a gladiator who wants her for other reasons….to help him escape this prison he has been forced to survive in for over ten years. Azarion, is desperate for freedom and to get his vengeance on the one who betrayed him to a life of slavery of horrific proportions. He will do anything for his freedom, even manipulate circumstances to convince Gilene to free him. When the struggle only pleased the torturer and made the torture worse, you stopped fighting and learned to endure. To endure was to survive. But the agreement that Azarion and Gilene come to is much more complicated than either of them planned on. 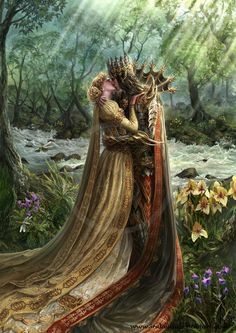 With Azarion determined to bring the man to justice to his people’s laws and take his position that is rightfully is, he never thought that he would want Gilene in his life for good or what it would cost him to give her the freedom that she desires. But soon both Azarion will be in a battle for their lives and their freedoms, will they survive or end up losing each other? Phoenix Unbound is a powerful story that brings together so many unique elements to the story. The beginning of the story, the first few chapters, start off with thrills and excitement. I was pulled into the story right away, however, soon the story takes a drastic turn. We see some adventure and slow tension build between our pair however I felt like the pacing was off. The first half of the book was a struggle. I am not sure if it was the way the world building was displayed in the story, or if it was the actual writing, but it slowed down quite a bit but I never gave up on my author and once I hit the 50% mark, then the story really sped up and I didn’t want to put this down. I will conquer all of the Empire to bring you back. The plot of the story and the romance really deepen in detail and emotion and you get caught up in this powerful story. I was addicted to Gilene and Azarion and the intimacy that builds between them. This is a slow burn romance, with those sweet romantic moments that build slowly in connection and vibrant feels. The plot that is placed in this story is PHENOMENAL. Now to be honest, I struggled with some of it since it was pretty intense at times and had too much of a “hunger games” like feel to it (books I still refuse to read) however, Grace Draven just didn’t disappoint me when it comes to writing a spectacular series of plot events that capture the imagination and keeps you up late reading. Both characters have their own abilities and strengths and I found that they really balance each other out in the end. We see how well they compliment each other and they never lose faith in what they have together and push one another to be stronger and improve themselves and accept each other as they are without reservation. 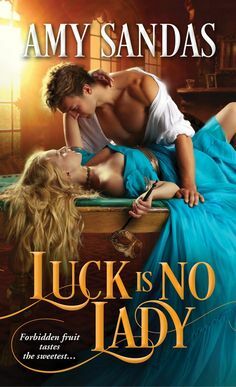 Now I do think that this is a series where each book the romance will become more focused, so there isn’t as much of a strong romantic element as I normally come to expect from Grace Draven. However, I definitely have faith in her writing and her ability to connect to her readers through her storytelling which she definitely succeeds in. Be still. Be silent. Some lust for beauty, others for fear. Don’t show them yours. Overall I found Phoenix Unbound to be a stunning, leave you breathless, keep you at the edge of your seat in anticipation tale of a fantasy that will exceed the expectations and keeps you yearning for more……A THRILLING ADDICTIVE READ! !